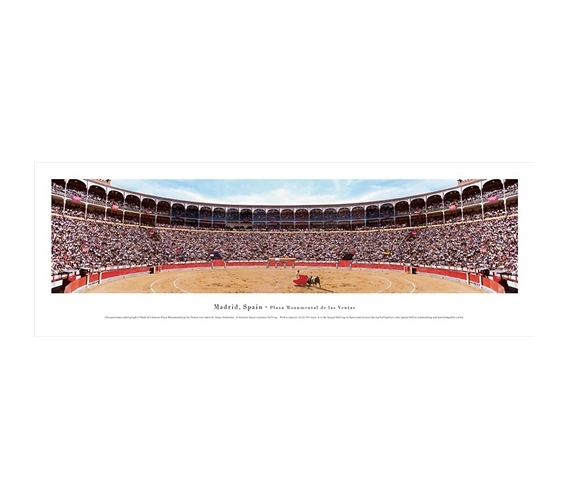 Bullfighting is a sport with much history and tradition, and this panorama for college dorms will bring its rich history to your college decor. When decorating your dorm, aim for dorm decorations that have some character and even history to them. Cool dorm stuff like panoramas for dorms are fun dorm items that make dorm shopping a downright more exciting experience. Bring plenty of cool dorm stuff to give your dorm room some character and color too. This panoramic photograph of Madrid’s famous Plaza Monumental de las Ventas was taken by James Blakeway. It features Spain’s premier bullring. With a capacity of 22,000 seats, it is the largest bullring in Spain and attracts the top bullfighters, who appear before a demanding and knowledgeable crowd. Las Ventas was built in the Mudejar style, characteristic of many bullrings, with brick walls and ceramic decoration. Between 70 and 72 bullfights are held every year beginning in April. 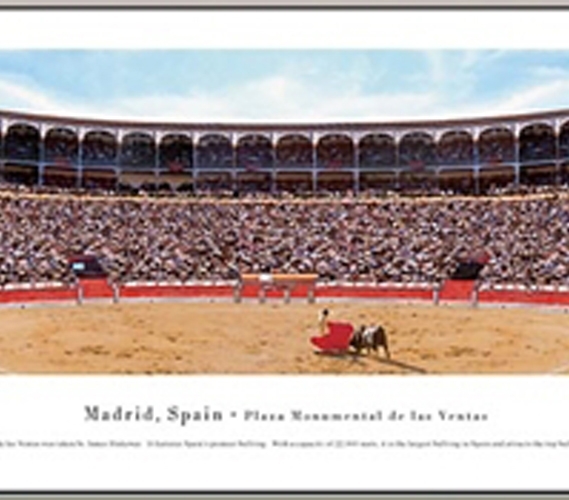 Since medieval times, the most popular entertainment in Madrid has been bullfighting.